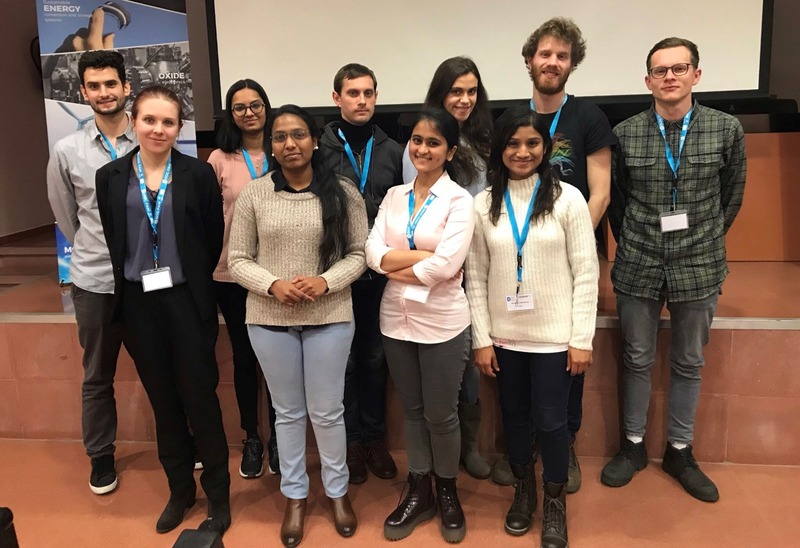 On Tuesday, 29 January 2019, the Welcome Day of the Doctoral Training Programme in Functional Advanced Materials (DOC-FAM) First Call Fellows took place at the ICMAB. 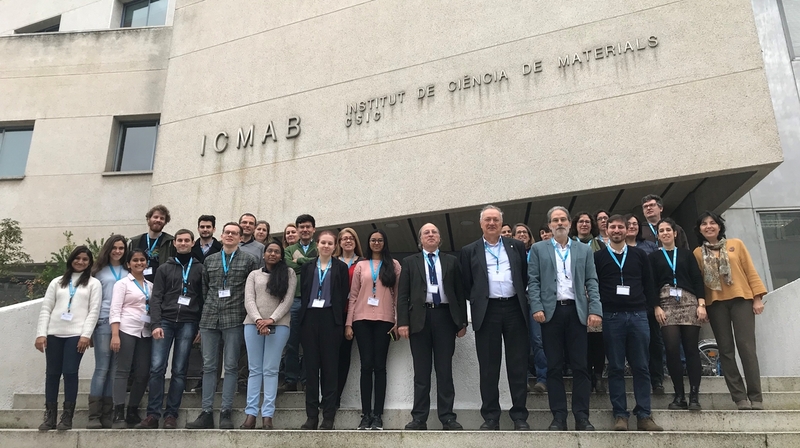 The DOC-FAM is a H2020-MSCA-COFUND project coordinated by ICMAB-CSIC in collaboration with four partner research institutions from the area: IMB-CNM, IREC, ALBA Synchrotron and ICN2. In this first call, 10 PhD Fellows from all around the world have started their research training programme within these institutions. Meet them here! The Welcome Day started with a presentation from the host institutions, starting with Prof. Xavier Obradors, ICMAB-CSIC Director, Prof. Joan Ramon Morante, IREC Director, Prof. Alejandro Sánchez, ALBA Associate Director and Prof. Francesc Pérez Murano, IMB-CNM-CSIC Vice-director. Laura Cabana, DOC-FAM Project Manager, presented some information for the fellows and for the host institutions. After the coffee break, the 10 PhD fellows gave a short presentation of themselves and of their PhD project, which they have recently started. The fellows have three years to complete their projects. Vladimir Dikan, from Russia, is doing his PhD at ICMAB-CSIC. Roberto Fabiao Santos Abreu, from Madeira Island (Portugal), is doing his PhD at ICMAB-CSIC. After the presentations, all the attendees could enjoy a finger-food lunch at the ICMAB. All in all, a very productive meeting, which achieved its main goal: let the PhD fellows meet one another, and increase the networking and collaboration possibilities between the IPs and the host and partners insitutions. The second call of the DOC-FAM MSCA-COFUND project is now under evaluation: 12 new PhD fellows will start their PhD next year under this programme. In total, the DOC-FAM project is aimed for 22 Early Stage Researchers. DOC-FAM has received funding from the European Union's Horizon 2020 research and innovation programme under the Marie Sklodowska-Curie grant agreement No 754397 . ICMAB acknowledges financial support from the Spanish Ministry of Economy, Industry and Competitiveness, through the “Severo Ochoa” Programme for Centres of Excellence in R&D (SEV- 2015-0496).